Measures 21" x 34" x 34" (additional covering extends to 78" long). Black flame retardant fabric with high-visibility orange effects. Designed for single-person occupancy. 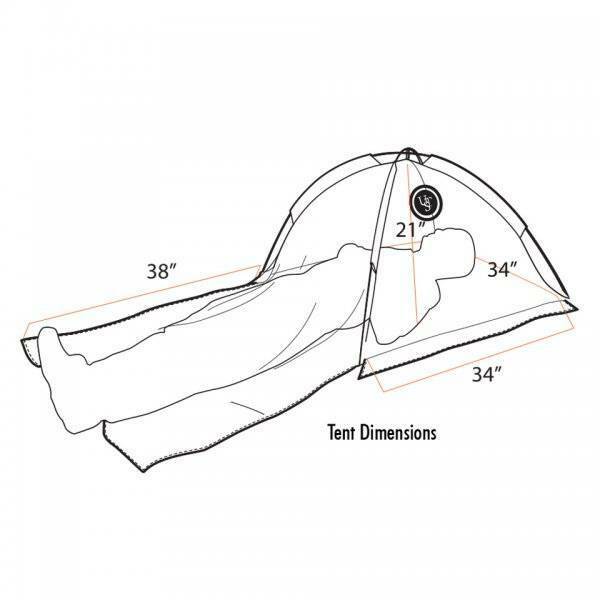 Replaces full size tents for more efficient sleeping and protection. Fine mesh protects occupant from even the smallest gnats, no-see-ums, mosquitos and other disease-carrying insects. 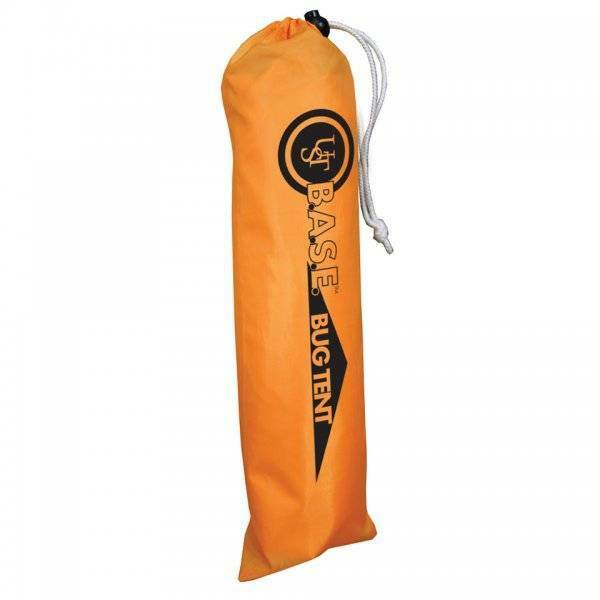 Includes stakes, shock-corded fiberglass poles and stuff sack for carrying tent and components when not in use. Lightweight, compact, easy to transport and set up. Compatible with ANY sleeping bag or mat. Use with the B.A.S.E. 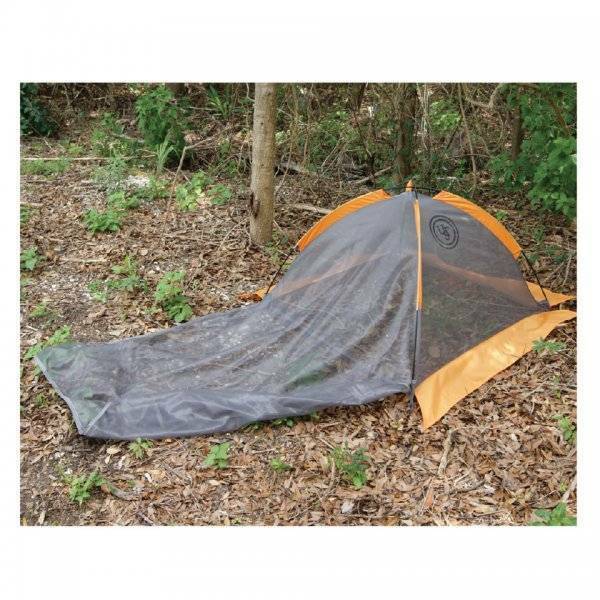 Tarp for maximum outdoor protection.